This USFL Birmingham Stallions Gray T-shirt features the Birmingham Stallions with a football helmet that features a stallion. 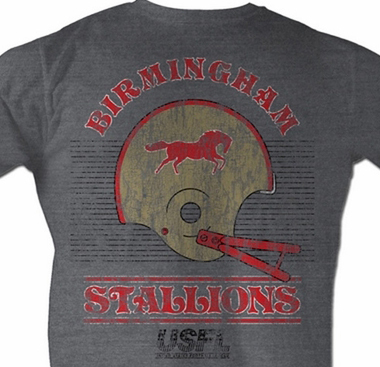 Our United States Football League T-shirt is an awesome adult t-shirt for any USFL fan. The USFL was a great football league that was active from 1983-1987.